Capital preservation is a term used in the investment industry to describe a very specific financial objective: Protecting the absolute monetary value of an asset as measured in nominal currency. Sometimes, but less often, capital preservation is taken to mean protecting the inflation-adjusted purchasing power of an asset so that a given pile of money can still buy the same goods and services by the end of the holding period. Only once the first, or in some cases, the second condition is satisfied, does the portfolio owner or manager look to earning an actual, real return on the position. That may sound very technical and difficult to understand. It isn't. In plain English, capital preservation is a code word meant to recognize that some piles of money are not designed to grow larger. If they do, that's icing on the cake, but it isn't why you've set them aside; it's not the reason they exist. Instead, they have been saved solely to be there when you need to reach for them. At some point, you do plan on spending the cash. Often, this is necessary because you are approaching, or currently enjoying, retirement. The money will be used to pay your bills, cover your medical prescriptions, keep the heat on in the winter, go out to dinner every once in a while, and send birthday and Christmas gifts to your grandchildren. Just as commonly, the funds are earmarked for a real estate down payment. The reason it is important to indicate when a particular pile of cash has a capital preservation objective is that it severely restricts the universe of intelligent assets into which you can park the money. Academic evidence and real-world experience illustrate that a diversified collection of blue-chip stocks, held in a tax-efficient, low-cost way, utterly crushes all other asset classes, provided you have a long enough time horizon, and your initial purchase price was rational relative to the underlying discounted earnings and book value. Stocks are never appropriate for someone who has a capital preservation objective. Likewise, bonds are often thought to be "safe," but if you introduce a long bond duration, you could see swings in value as large, if not larger, than the stock market. Due to the primary objective of capital preservation, the key consideration when selecting individual assets that comply with the needs of the portfolio owner following such a policy focus mainly on volatility—that is, how much a given security or account fluctuates in value, expressed as a percentage of the original cost basis. The classic capital preservation choices in the United States include FDIC insured checking accounts, savings accounts, money market accounts, (not money market funds—those are different), and certificates of deposit. In all cases, an investor that is under the applicable limits should be able to preserve the nominal value of his or her cash, minus any bank fees or expenses. You also have very short-term Treasury bills parked directly with the United States Treasury through a TreasuryDirect account. Other options include actual greenbacks—banknotes—stuffed under a mattress, in a coffee can buried in the backyard, or put away in a safe deposit box, though these all come with risks of their own. For a slightly longer time, horizon and no need for current cash income, United States savings bonds can also be a good choice. 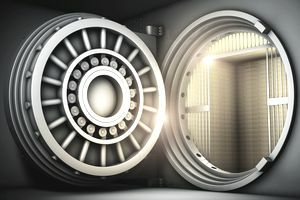 Roughly once every generation, a new financial security comes into vogue on Wall Street, and people seem to use it as a cash equivalent for their capital preservation needs. Then, a recession or some other crisis inevitably hits, and it becomes all too apparent that the safety was an illusion. We saw this back in the Great Recession of 2008 and 2009 with something called auction rate securities, which people had been treating as if they were identical to cash in the bank. It wasn't, and some folks lost millions of dollars almost instantly when they were unable to find a buyer for their paper. As a general rule, it is helpful to remember that if capital preservation is truly necessary, even accepting a 0% rate of return, or slightly negative rate of return after inflation, is preferable to putting money you cannot afford to lose at risk. Don't "reach for yield." You won't like the results.